The Big Green Egg Deep Dish Pizza & Baking Stone enables you to bake a variety of recipes … from pizza, quiche and lasagna to pies, cinnamon rolls and desserts. Our stones distribute heat for even baking and browning, and the stones retain heat so efficiently that your foods conveniently remain warm longer. 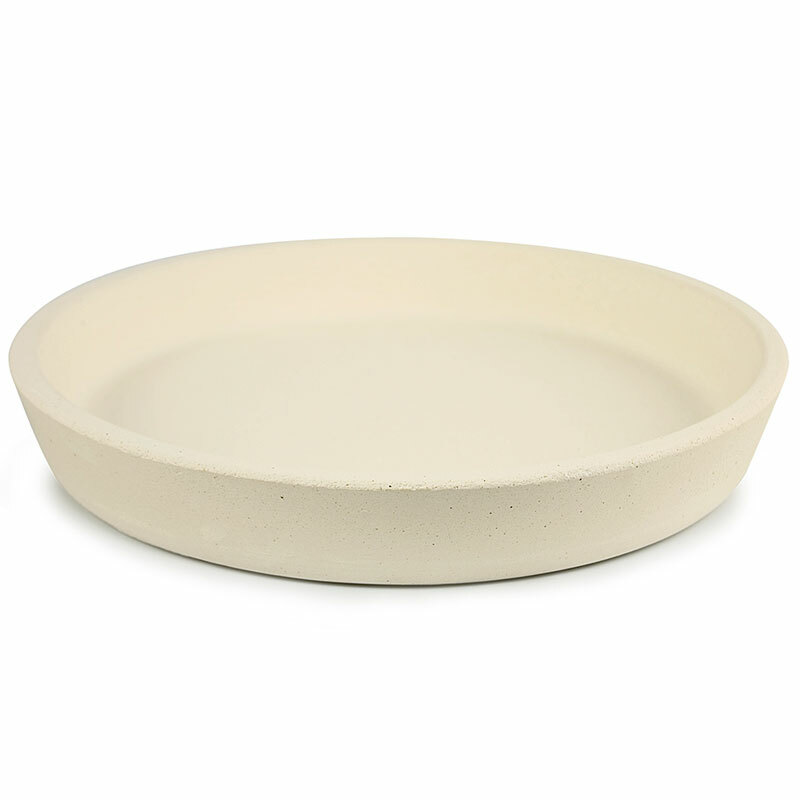 The high performance ceramic stone distributes heat for even baking and browning. Works well with any of your favorite pizza or pie dough. CARE: Hand wash only with a brush and water; dry immediately. Soap is not recommended; never wash ceramic in a dishwasher. 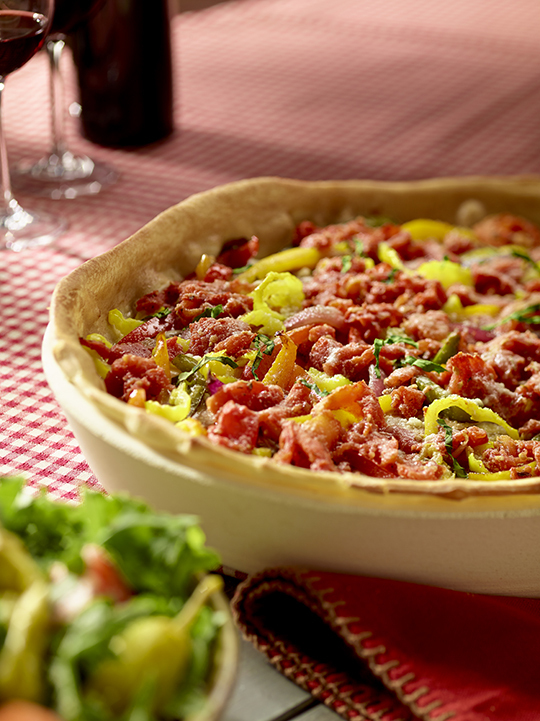 Click Here for a Deep Dish Pizza Recipe. 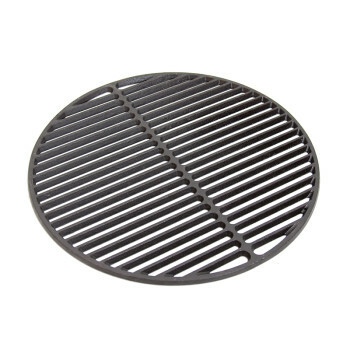 The Big Green Egg deep dish pizza baking stone is ideally suited for baking deep dish pizza, pies, cinnamon rolls and quiche.